Unexpected Blessing & Storytelling TONIGHT! As you read this, Larry Vukov and his team from Autumn Ridge Church (Rochester, MN) are in flight for Kenya! 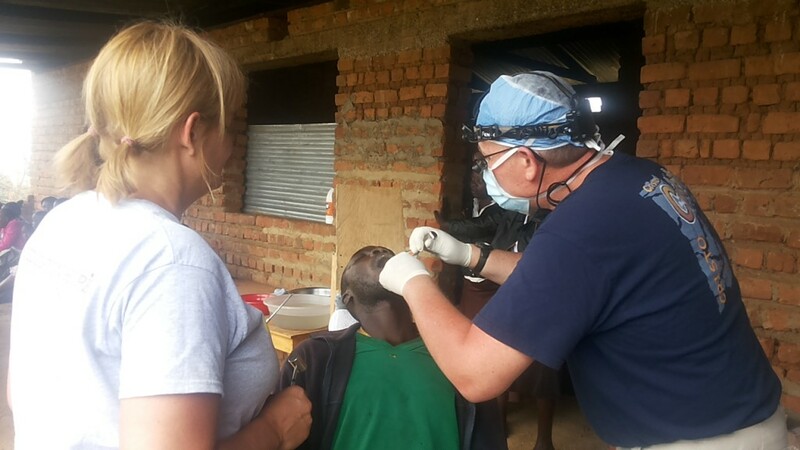 The team is made up of doctors, builders, a dentist, and a nurse. While at Daylight, the medical team will see all 230 students for annual checkups, and provide health care to the wider community. 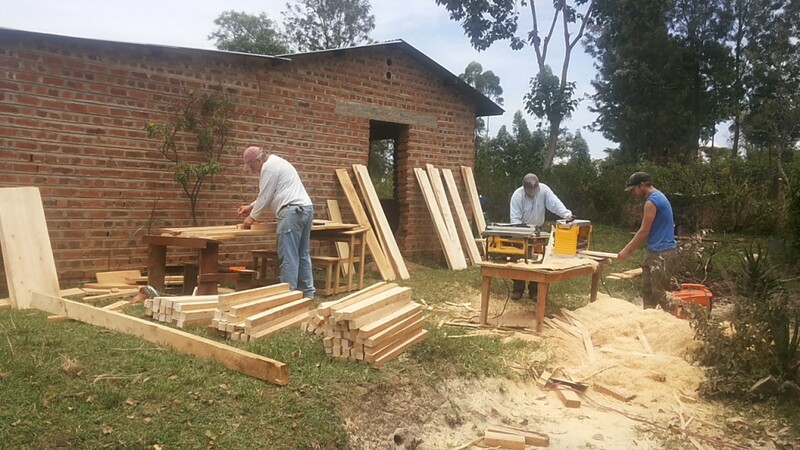 Meanwhile, the builders will work with the local Kenyan construction team to install a roof on Daylight’s 2nd dormitory! On Sunday, a woman approached a trip team member at church, wanting to support the team’s work in Kenya. The team member at first did not want to accept a donation, but the woman insisted and handed him a few folded bills. Without counting the money, he gave the folded bills to Gail for safekeeping. Later in the week, that team member was packing his bags and realized a very important tool for installing the roof, a “wood planer,” was heavier than the allowed amount by the airline. The team would be charged a $75 overweight fee to check the tool through to Kenya. He called the Vukov household to ask if there was room in the team’s budget for this unforeseen cost. Gail remembered the folded bills from Sunday and rushed to count it. $82; a few dollars more than needed to cover the extra cost! God is already using unexpected blessings on this trip. Please keep Larry and his team in your thoughts and prayers for their safety and service at Daylight, for cross-cultural relationships to grow, and for the students and staff to be blessed. The Autumn Ridge team returns to the U.S. on April 1st. This evening, I will be sharing pictures and videos from my recent trip to Daylight. If you are in the area, I invite you to come drink Kenyan chai and hear more stories about how God is working at Daylight in Kenya. It’s Daylight Saving Time! As you ‘spring forward’ your low-tech microwave and wall clock one hour, please take a moment to think on Daylight School in Kenya. It is with your partnership that Daylight too has sprung forward! Here is a message from 16-year-old Chelimo (daughter of Daylight Kenya Director, Michael Kimpur). Note, Daylight Kenya recently added “Model” to its name to reflect its aim of serving as a model to the community. Daylight Model School. And what a model school as the name states! There is an English saying that goes, “A child who has never eaten food outside the mother’s house describes the mother as the best cook.” I therefore take Daylight as a very tremendous and valuable community! Bringing valuable benefits to children and the society at large. Introducing them to many opportunities they would otherwise not have tasted. Let me take this golden opportunity to thank all the supporters of this wonderful institution! Congratulations for bringing the school this far and in hope we shall be even greater than this! Daylight is a school that has revealed what the society is, and above all it has accommodated children of all races, for instance the Pokot, Turkana, Nandi, Kikuyu to mention a few! The school has brought up rounded students i.e. physically capable, socially balanced and spiritually nourished to serve God to the best of their abilities! I also want to thank my dad for he has worked tirelessly to bring up this school to the best of his ability and he is always there to lend help to society’s kids at large. For l believe with his selfless heart we shall be able to lift Daylight to greater heights! In a nutshell, there is a great improvement in Daylight and with cooperation, trust me the sky is no longer the limit! With God’s help, we can go higher. To the Daylight over there, keep up the spirit! God bless you all. At Daylight, we are excited and looking forward to what God has in store for Daylight this year. It is hard to believe we are already well into the “New Year,” and before we get too far, I want to share with you the 2013 year end report. Due to your prayers, kindness and financial support, we have experienced tremendous growth in many areas. Daylight became incorporated as a non-proﬁt in the state of Minnesota. We purchased the ﬁnal two acres of land adjacent to the school site. We have increased our number of students to 230 and now have some students living in the dormitory. Daylight Kenya has established a community advisory group. We have retained a core group of staff who have taught and helped at Daylight since its beginning in 2008. We hosted several fundraising events including a multi-band concert, hayride, square dance, and alternative gift market. We have added several new members to the U.S. board of directors. We have built a strong relationship with a new church partner, First Presbyterian Church of Stillwater, and a small team from that church visited Daylight in November. We maintained partnerships with other churches and continue to add other groups of interest. A 70+ year old supporter of Daylight traveled to Kenya with his granddaughter to see the school with my son and I, including a trip to the outpost in Alale. We increased our fundraising initiatives and continue to develop new fundraising goals. Grace, a student at Daylight whose guardian wanted her back home in the rural village, is now a permanent student (showing a shift in thinking about education in rural Kenya). Daylight’s Kenyan community raised their own funds to provide the teachers with a permanent ofﬁce space. The outpost school in Alale has grown to 30 kids, two teachers, a cook, and a pastor. Autumn Ridge Church in Rochester sponsored a “Walk for Water” event which raised enough money for a new water system. A youth choir director from Lynnhurst Church in Minneapolis traveled to Daylight with her daughter and shared their gift of music. As you can see, there has been significant activity here in Minnesota and in Kenya. Michael’s dedication and passion to the kids inspires me, and the achievements of our brothers and sisters at Daylight has made God very tangible to me. Daylight often has needs that I think “are more then we can handle,” sometimes forgetting that the needs are not more than God can handle. I have been humbled repeatedly and have seen His work in meeting all of the challenges. I am awed by how God calls His people into action and the response that ensues. I have been privileged to Chair our U.S. board and will continue through the end of this year, when my term ends. My thankfulness and gratitude to you is deeply heartfelt. Daylight is ﬁrmly established in the community, and we have a great responsibility to continue providing the children the opportunity for safety, education, peace and hope. Together, we are accomplishing great things, all for His Glory! May God bless you richly.